VANCOUVER - Fall is still more than a week away but drivers on British Columbia's Coquihalla Highway can be forgiven for thinking winter is arriving. 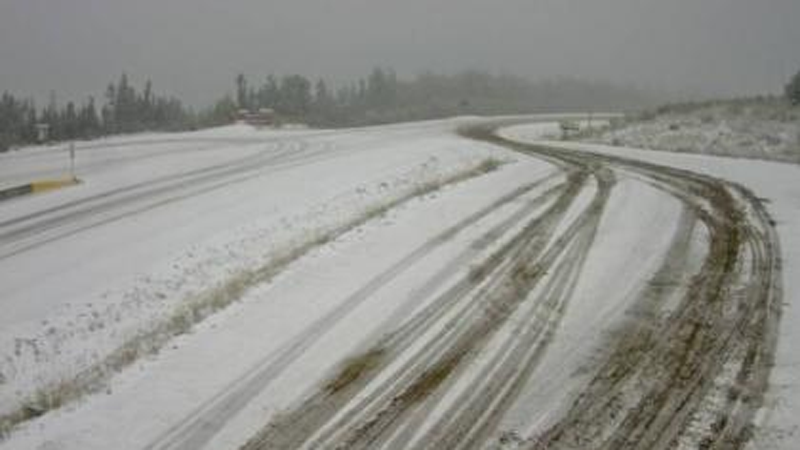 Environment Canada has issued special weather statements, forecasting about two centimetres of snow on upper elevations of the route and at the summit of Highway 97, between Clinton and 100 Mile House in the central Interior. For the latest forecast and weather warnings, check out CTV Vancouver's new (and free) weather app! Check out this page for more information including how to download it to your smartphone or tablet. 10 cm in the forecast: Snowfall warning issued for part of B.C.